Grab announced today that it is launching a new remittance offering under its financial services arm in early 2019. Unveiled at the 33rd ASEAN Summit in Singapore today, Grab said that this marks a significant milestone towards Grab’s vision for an ASEAN e-wallet. As the region’s first wallet-to-wallet remittance product, this new service allows both banked and unbanked senders to remit money to receivers in another country using their GrabPay wallets. As opposed to existing options in the market, receivers can access transferred funds instantaneously. Receivers can also choose to either cash out the remitted sum via the regular network of cash-out points, or use it on everyday transactions such as bill payments and mobile top-ups. Grab promises that this is a very hassle-free and convenient process. Consumers can use their mobile phones to verify their identities on the Grab app on a one-time basis; this eliminates the need for in-person identity verification at the bank or remittance transfer agent. Additionally, Grab claims that it is also very secure, adding that it takes full ownership of the funds movement. Currently, most remittance transfer agents do not guarantee an end-to-end transfer of funds from sender to recipient, which introduces some uncertainty to the remittance process. With the GrabPay wallet, remittance flows will be between GrabPay wallet and wallet, giving both sender and recipient full assurance and visibility on the movement of funds. Some Money Transfer Operators (MTO) require senders to pay substantial all-in transfer fees, while some may levy additional “convenience” fees for immediate funds collection. With Grab’s remittance product, senders will have complete visibility over the all-in (forex rate and admin charge) fee before the transfer so the recipient is assured of receiving the money in the GrabPay wallet without discretionary additional fees. Beyond middle-class consumers and micro-entrepreneurs, this new service also serves the growing migrant community within Southeast Asia. Many economically-vulnerable foreign workers are reliant on unlicensed agents, which results in the remittance industry suffering from opaque and expensive pricing structures coupled with inefficient delivery operations. This results in a sub-optimal user experience, and vast sums lost and unaccounted for in this process. According to Grab, this remittance product will pave the way for a multi-currency ASEAN-travel wallet that will significantly reduce the payment friction for intra-ASEAN tourism and business travel while enhancing cross-border e-commerce opportunities. 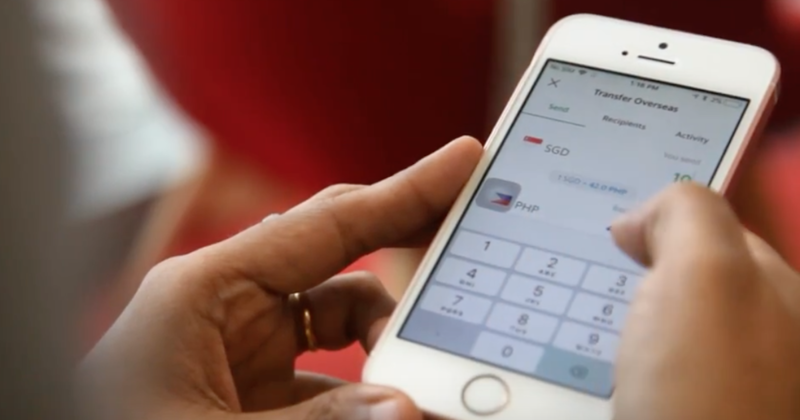 “We believe this remittance product will be a game-changer for millions of unbanked or undeserved individuals across Southeast Asia,” said Reuben Lai, Managing Director of Grab Financial.